Great news for beach lovers! 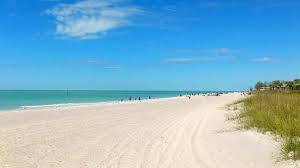 Charlotte County FL in cooperation with Federal agencies had approved a beach re-nourishment project for Manasota Key. The result of this $21 million-dollar project will bring our beach back to Pelican Shore Cottages. At the time of this Blog post the project is in the Permitting phase. The project is scheduled to begin in November 2019. Our new website is now up and running! Hope you find the new features handy and the content useful.